PURPLE LOOSESTRIFE seeds (lythrum salicaria) from Wildflowers UK. Purple Loosestrife- Lythrum salicaria is a tall wetland plant that produces spectacular spikes of purple flowers in late summer. It will grow well in full sun or semi-shade and is often visited by damselflies and dragonflies on warm summer days. 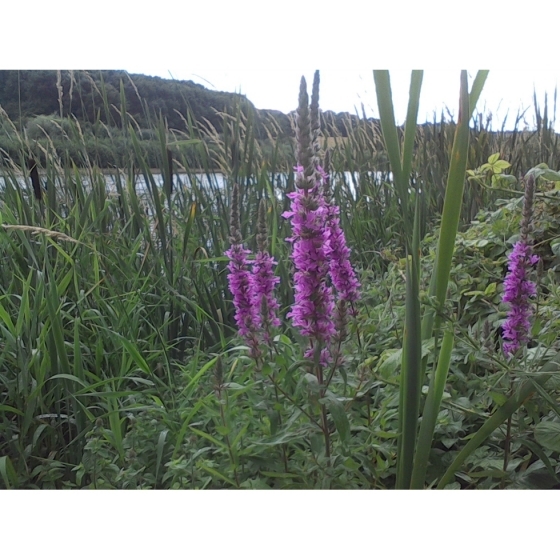 Purple loosestrife is most often associated with lakesides and pond edges. Shortly after flowering, plants shed their foliage for the winter, however the seed-heads remain of value for a wealth of over wintering insect life. In a wildflower garden, Purple loosestrife can be included around the margins of a pond and once established, can be propagated fairly easily from cuttings. Purple loosestrife looks beautiful growing alongside other late flowering wetland plants such as Devil’s bit scabious, Water mint, Hemp Agrimony and Fleabane. 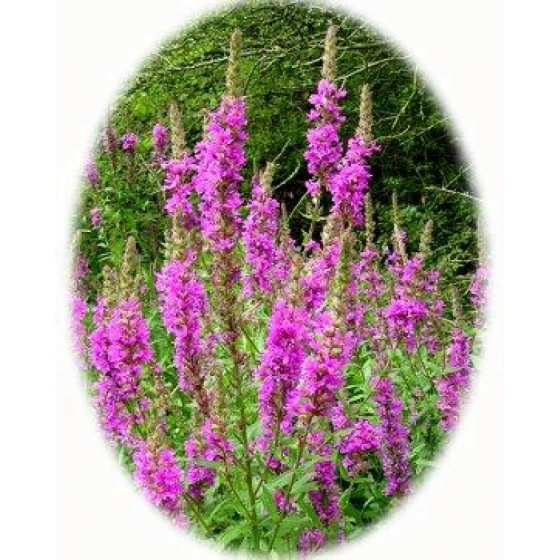 Purple loosestrife seeds should be sown in trays of compost in spring or autumn using fresh seed. The trays should be kept moist. Once germinated, the seedlings can be pricked out and grown on, for planting out later in the year. Once established Purple loosestrife flower plants will self-seed quite readily given the right conditions. Bare in mind that Purple loosestrife sheds all of it’s foliage for the winter.